Paul Michael Schmidt, D.D.S. completed his undergraduate studies and received a bachelor degree in chemical engineering at Michigan State University in 1999. He received his Doctorate of Dental Surgery from the University of Detroit Mercy, School of Dentistry in 2003. 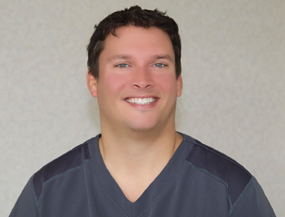 He has advanced training in cosmetic, restorative, implant, family, and sedation dentistry. He has been at his current location since March 2009. Dr. Schmidt's comprehensive evaluations involve gentle and careful review of the condition of the oral cavity including, teeth, gums, bite, muscles, TMJ, esthetics, and previous dental work. The doctor stays up with current trends and materials to allow for the best options for his patients. Dr. Schmidt is a Saginaw native and a 1995 graduate of Nouvel Catholic Central High School. He has been part of Nouvel’s Rose Watson Scholarship Committee for numerous years. 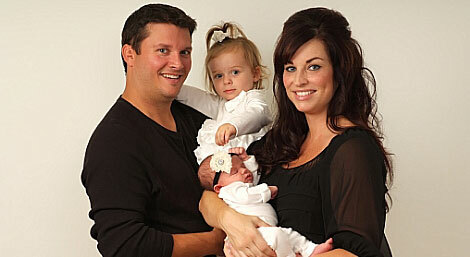 Dr. Schmidt, and his wife Nikki, look forward to building a family-oriented practice with you. They participate and support the community. He is a member of the Saginaw Chamber of Commerce. They also have 2 little girls named Kensie (born Dec.2011) and Kylie (born Aug 2013). And a 4 year old Goldendoodle named Sophie. Sophie spends some of her time at the office with Dr. Schmidt and Staff.